We are a completely new hotel, we have full wet area, gym in the city of Borja. We offer an exquisite place for those who seek to rest surrounded by a warm, relaxing environment, enjoying nature and enjoying all its attractions. In our community you will find the famous goblin caverns, natural water pool and many typical activities of our community. The beauty of this attraction is the natural lagoon, with its two islets full of life, which contrast with the majesty of the Amazon rainforest. In our restaurant you can enjoy national, international and traditional Amazonian cuisine with a unique season. This territory is also marked by archaeological findings, represented by bones and objects made of clay and gold, all these vestiges according to the classification belonged to the culture of the Faces, Manteña and Guangala. Junín is the birthplace of beautiful and beautiful women and intellectual men. Junín is agricultural, livestock and poultry, for this reason and for the large sugarcane crops, it is "The city of the cañadulzales" and of them its derivatives as the best drink in the world. In their parishes and communities people receive visitors in a courteous and friendly way, that usually no one leaves without tasting a true Manabita food cooked on a stove or cooked in firewood because they still preserve their traits, traditions and customs Manabitas , as can also be present in the fight of roosters, popular dances, montubios rodeos, amorphs, veneration of images, among others. It has a diversity of epiphytes, most notably the cacti and bromeliad family with a low density of momvillea. Native Plants: The native plants of this place are the laurel and balsa; Above 30 meters we started to find the real palm, guayacán, chilca, moral fine, moral bobo, tillo, among others. The fauna of Junín is displaced almost in its totality, given the high degree of humanization of the landscape. In other times there were abundant animals such as mice, guinea pigs, hairy, jotes, eagles, pigeons, etc. The owls, hummingbirds, pigeons and other birds have adapted successfully and live with human populations. There is a great diversity of fauna such as black howler monkey, mountain cat, tigrillo, monkey monkey, guatuso, among others. Canelazo: The canelazo is a hot drink that is prepared with the typical brandy of Junín, cinnamon, anise, sweet clove, and pineapple bark, these ingredients are boiled in a large clay pot. Creole chicken broth: It is prepared by cooking the chicken with special seasonings, it is served with cooked potatoes or yucca, accompanied by cilantro and white onion. Salprieta: Made from peanuts, ground toasted corn and special condiments. It is served with green or ripe banana. It is located on Avenida Vicente Mendoza y García, opposite the Abdón Calderón Park. The story of Our Lady of Lourdes dates back to 1858 in a small town called Lourdes in France, where a 13-year-old girl, simple and humble named Bernadette, lived. One day she left her house with her sisters as every day to collect wood to make food, suddenly she heard a noise and turned, knees fell and saw a woman dressed in white with a blue ribbon that floated in the air. After her first appearance the young girl went more and more to the place of events, the Virgin was returned to appear 17 times more. Now Junín is a Shrine of pilgrimage since it was brought by the first Priests of Manabí. It is made of bronze and has withstood some earthquakes, it was crowned in a solemn act on November 16, 2008. These are located on Avenida Eloy Alfaro. There are 3 houses that oscillate around 80 to 102 years. Each one with its history. It is located on the Come Tierra site 10 minutes from the city center. You can reach this house in your own vehicle or in rental cars. It was one of the most representative houses in antiquity due to its internal and external structure. Nowadays it is famous for its stories and for its denomination as Bewitched attributed to it by the various tragedies that the people who lived in it staged, also despite the years it still preserves very important remains of what was once the house from one of Junín's richest men. The Jinque is located on the site approximately 6 kilometers by vehicle to the starting point, then you have to walk 30 minutes where you can see the entrance to three caves. Inside the first cave that is the largest there are seven totally dark and humid distributions where you can see lots of bats and a strong smell of sulfur, the height at the entrance of the cave does not pass the meter, which is why that enter in squatting, the water that emanates is brackish from there the history that if dynamitan the place to do studies would appear an arm of sea that would end with the population of all the Canton since the caves are in a rather high place. 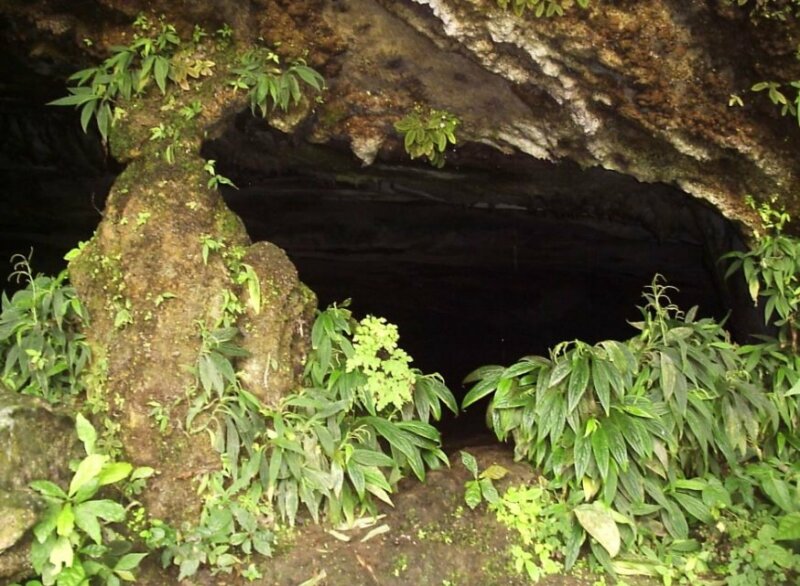 The second cave can be entered by walking because it is quite wide but has no exit unlike the first. The third cave is one of the most enigmatic because it is a very narrow gap in which you have to enter quite carefully. It is recommended to bring repellent, clothing and comfortable shoes, first aid equipment, ropes, among others. It is located in the Las Piedras site 15 minutes from the cantonal capital. It can be reached by car or chivas. It is located in the Los Andarieles site. This place can be reached by vehicle in a time of 30 minutes to the entrance where you have to walk approximately 30 minutes. Frequently it is visited by locals and foreigners given its particular natural formation where its cause is constituted by a single stone slab, and for its great waterfalls have formed spectacular lagoons of crystalline waters. You will be able to appreciate more closely the nature for the exquisiteness of its nature, where groups of monkeys live and you will be able to hear the singing of many wild birds. You can spend the night carrying tents with you, but not before requesting the respective authorization from the owners. It is located on the Caña site, where it can be accessed by private vehicle or chiva from the center of the city, the approximate time is 30 minutes. 7 poses are a series of waterfalls that the crossing to reach each one is incredible, since you have to walk on the river path and go through waterfall after waterfall and as you approach the seventh the stone walls are closing , they are around 2 to 3 hours of adventure.